Local and international news of wide and dynamic coverage . The prospects for a free and democratic Cuba, with analysis of national and international news. Talk show innovative and interactive, with controversial topics. Music, entertainment and public participation. 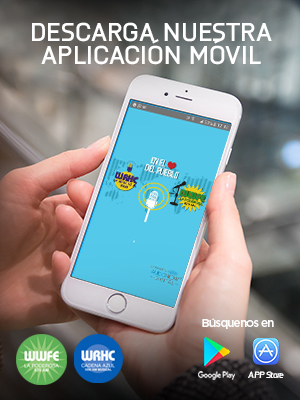 You can listen to our programs through your Smartphone. La Poderosa connects the listeners with its live radio programming. The Democrats insist on the impeachment of President Trump. Sen. Elizabeth Warren joins other Democratic Party members such as Nancy Pelosi and Chuck Schumer in pushing for new investigations against Trump. Despite the result of the special prosecutor's report, Robert Mueller, they try to involve the US president in cases of obstruction. Mabel Fajardo reports. Trump puts an end to sanctions exemptions for nations that acquire oil from Iran. Mabel Fajardo details that the objective is to reduce the exports of the Ayatollah regime to zero. On May 2, the United States will eliminate these exceptions. A bill that eliminates MDX is approved in the Florida House of Representatives. Before this approval, the criticism of Miami Dade legislators in Tallahassee is raining. Carlos Santana expands us. They urge the people to call 305 607 5914 to sign the petition: no more tolls. This is an initiative before the incompetence of Miami Dade politicians in Tallahassee so that our cars do not continue to function as ATM machines. Carlos Santana has the details. This is the classification of the Golden Boot: Mbappé cuts distances with Messi. Juan Victor Gonzales, informs that Leo Messi continues to lead the Golden Boot classification after playing day 33 of LaLiga Santander. The Argentine, who did not play in Huesca and did not score on Saturday against Real, dominates with 33 goals. Trump expresses his satisfaction at proving that he had no involvement with the Russians. Mabel Fajardo reports that President Donald Trump has said that it was a good day to be proven that there was no collusion. The report of special prosecutor Robert Mueller has 400 pages and contains multiple testimonies. Biden will present his candidacy for the presidential elections next week. Former Vice President Joe Biden will fight to be the candidate for the Democratic Party in 2020. In his last speech, he appealed to the workers' vote to achieve more rights. Mabel Fajardo reports. 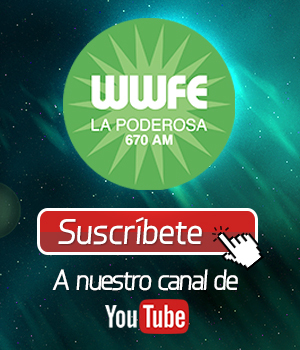 WWFE “La PODEROSA” 670 AM , was founded in 1988. We transmits at 50,000 kilowatts all over South Florida and the Caribbean. Spanning from the Palm Beaches all the way to Cuba, our station reaches where others cannot. Streaming online 24 hours a day. La Poderosa 670 AM is the heir to a tradition of Spanish-language radio unique to Miami, emphasizing listener participation, local, national and international news, and long form interviews and programs designed to inform the public. La Poderosa’s slogan, “In The Heart of the People”, expresses how keenly the station has its finger on the pulse of the community. The public is the engine that drives the station, serving as a platform for all views and expressions. La Poderosa informs the people like no other, with critically acclaimed news shows. 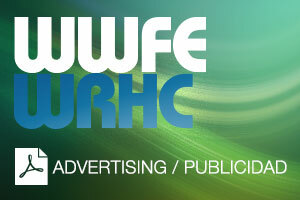 WWFE is home to both the earliest and latest news hours in Miami, and two others midday. La Poderosa has a steadfast dedication to long form, detailed analysis of news and politics unrivaled in any market. Our hosts and directors respect the intelligence and desire for knowledge of the audience, and refuse to cut corners or simplify any story or analysis. La Poderosa offers the unique opportunity for the everday man or woman to speak directly to their elected officials. It is not uncommon for mayors, commissioners, governors, congressmen and senators to grace the airwaves of WWFE. Audience participation is everything at 670 AM and typifies a style with a long tradition in Miami.